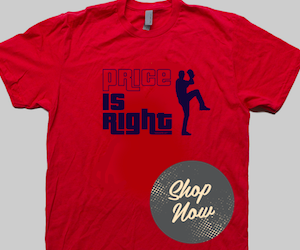 Much like David Letterman, we love us some lists here at redsoxlife.com. 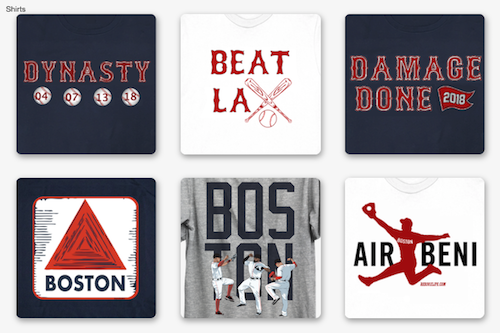 In keeping with that conceit, we’d like to submit for your approval the top-four performances by your 2013 World Champion Boston Red Sox in the Fall Classic. Clearly, David Ortiz was well-deserving of the overall series MVP, batting .688 with two doubles, two homers, a dozen walks (four intentional), six RBI and an OPS of 1.948, but let’s take a quick look at the individual stars of all four World Series wins. 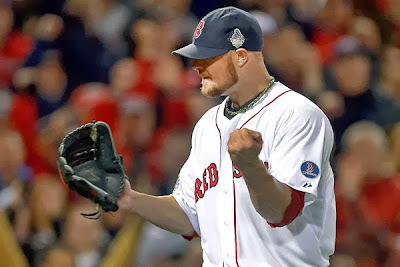 Lester got the Sox off on the good foot in Game One on Oct. 23 with a dominant performance, allowing no runs and only five hits while walking one and striking out eight to get his first World Series win since pitching the clinching Game Four of the 2007 World Series in Colorado. The lefty stranded six Cardinals in the game, threw 76 of his 112 pitches for strikes and sent St. Louis batters down in order four times. Jonny Gomes gave Boston some much-needed offence in Game Four on Oct. 27 in Busch Stadium, hitting a three-run homer to put the Sox on top and eventually even the series at two games apiece, but the real credit has to be given to repurposed starter Felix Doubront. The Venezuelan lefty came out of the pen to relieve a slack-armed Clay Buchholz in the fifth and put in 2.2 innings of solid, scoreless work, holding down the fort by striking out three of the eight batters he faced before giving up a double to Shane Robinson in the seventh. Lester gets full credit for putting the Sox up 3-2 in the series in Game Five Oct. 28 at Busch Stadium, going another seven and two thirds and allowing only one earned run on four hits while striking out seven to become the first Red Sox lefty since Babe Ruth to record wins in his first three World Series starts. Lester was even more economical than his Game One start this time out, handing out strikes on 61 of his 91 total pitches, retiring the first six batters in order and retiring 17 of the next 19 he faced before being lifted for closer Koji Uehara in the eighth. While a case could certainly be made for starter John Lackey, who pitched six and two thirds and gave up only one run on nine hits and struck out five to become the first pitcher ever to start and win the clinching game of a World Series for two different teams, the star of the night was the Flyin’ Hawaiian, who — after missing two games with a bad back — drew a walk in the second, hit a three-run double to left in the third, and ripped a one-run single in the fourth to cement Boston’s eighth World Series title in franchise history, and the first in front of the home crowd since 1918.